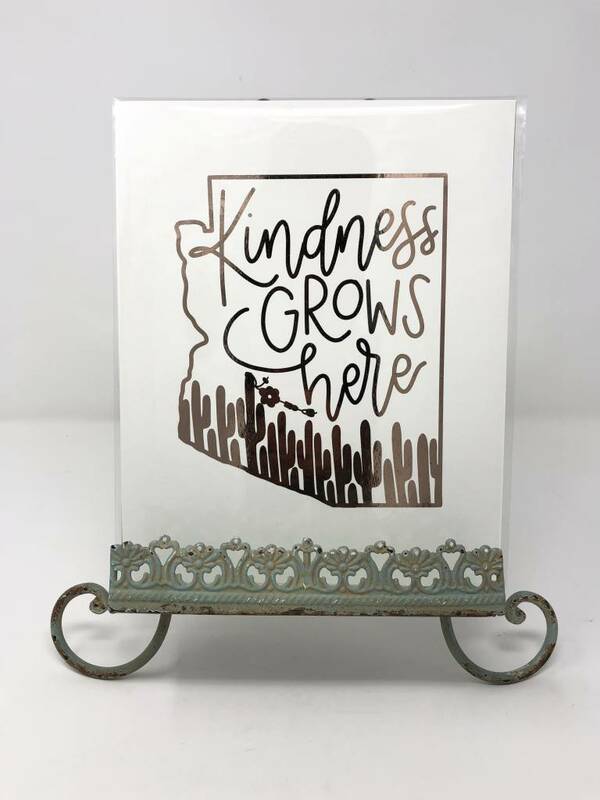 This beautiful sign of kindness is made by our friends at Sweetpeet Lettering Co. exclusively for Ben's Bells (peep our bell on the cactus!). This design is hand-lettered, printed on 8x10 65lbwhite cardstock, then foiled in copper. Color may appear differently on your screen. Each has a mirror-like quality and reflects and shines in different types of lighting. Due to the handmade process of this piece, small flecks of black may be visible through the foil, however, no two prints are ever the same and add to the authentic, handmade look of this piece. 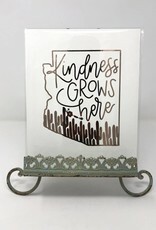 This sign will give any room a shimmer of kindness.